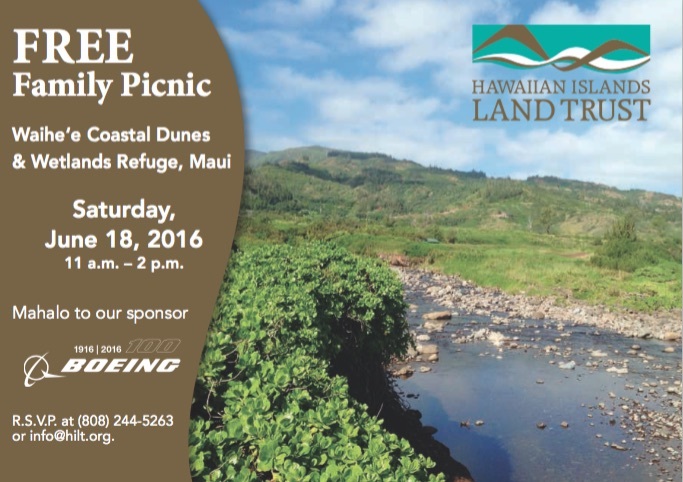 You're Invited toHawaiian Islands Land Trust'sFree Family Picnic! Don't forget to view the beautiful art work that will be painted on and inspired by the land. Participate in our Plein Air art contest and vote for your favorite People's Choice art piece!